Hello folks, I'd like to introduce my 97 GSX. It is altogether my 3rd 2g but my first GSX. Mitsubishi never officially sold the GSX outside the USA, so they are extremely rare in Europe. I picked up the car in January 2018 in England and restore it so far to get a road registration here. Hickory-NC-2Ggsx and ec17pse like this. Love the color. What is it, cayenne red? Yes it is Cayenne red. By the way... do you have some informations about engine and transmission? Alex didn know much/ or don’t want to tell me. 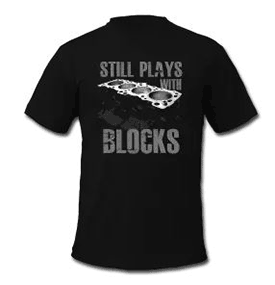 Only thing i know is it is a 6bolt block. But I have no idea if stock or what is modified inside. What type of clutch...? When he got it here he had some boost issues and leaks, the trans had a good clutch in, but his shifter was a megan and a bolt kept getting stuck and jamming gears, it also made it bad as you would miss and skip a gesr bby mistake, i came down from 5th to 2nd because it jumped me there and would not let me select 4th but did again once slowed down! I tried to help him with ecmlink as he had issues there with WOT and he lost his cable, he also had boost leaks. From then he had a few things he was doing and needed my advice in like upgrades and parts, so i assisted and he got alot of what i said to get, but the install was bad, it was a point where he wanted to get a new car now anyway so i guess everything went together fast. After all this it got sold to Alex, who i also went and met and saw the car in person again, he was having issues fixing Jakes mess and well i tried to do my best but my advice went unhead! So nothing i suggested was done to fix it and know idea what alex ended up fixing or breaking from there. Wow, thank you! That was a lot more information than Alex told me. The car wasn't running at all, which was also due to the speed density and a lot of boost leaks. In ecmlink everything was stock except the injector size and MAF. If he really drove 23psi, then on stock fuel and timing map. Ok we have better fuel in Europe, but still unbelievable. Then he used the 6bolt (1g) knock sensor, which will not work with the 2g ecu (or not perfect). But the issues with the gearbox shocks me the most, if it breaks I'm f***ed. I won't get a replacement in Europe. Ebay turbo with external wastegate exchanged for OEM EVO III turbo with EVO manifold. New intercooler is inside, black powdered but so that the mesh is not coated inside. Stealth optic with minimal heat transfer losses. New piping, and vacuum hoses are all new and pressure test up to 2bar successfully passed. Then I designed an adapter to adapt an Apexi air filter to the EVO VIII maf. I don’t like SD. The highlight of the interior is now the digital multi display with OLED. Now I can display 6 values at the same time. Furthermore, the controller box loops the signal of the whideband lambda into the ECU, so I can log the signal in parallel with ecmlink. You mind explaining how you got the intercooler like that? Looks awesome! Well... This is the know how of the powder coating company. But I think the powder is sprayed in an angle so that it doesn't infect the mesh. I ordered KW V3 coilovers with stronger springs directly from KW. So I used upper spherical bearings from an Megan Racing coilover set and added an spring seat disc on it. Last thing, I needed some sleeves to adjust the diameter from the uniball to the piston rod. The interior carpet is inside again and the seats too. Unfortunately I had to screw these rigidly with the body, because otherwise with sliding rails I does not have enough headroom with a helmet on. For this I had to drill the JDM knuckles out to fit the M14 bolts and ordered some custom brake lines. The car is finally on its own wheels again! Unfortunately I can't get into the area where I want to go with the OEM eccentric bolts. Now that I had a wheel alignment that fits at least halfway, I started to measure all suspension points of the car. Therefore I created a coordinate system under the car and measured ALL points of the chassis with plummet, laser and ruler. Now I can simulate my suspension and calculate where I have to move the toe rod head to minimize the bump steer for example. With the calculation results I could now construct the rear toe arm. Kryndon and Hickory-NC-2Ggsx like this. Fascinating. I think we all agree this car has finally ended up in the right place! I'm curious as to why you're making your own toe arms instead of just buying aftermarket arms? I also love black intercoolers. The silver does not age well and looks ricey to me. IDK why more companies don't offer the black option. I have an RDT 7" FMIC which not only came in black with black pipes and couplers but also fit without any cutting and retains the crash bar, something I feel I need. After 3 or 4 years the powdercoat still looks new. - I come from europe, there are NO parts for the GSX here and shipping from the US is relatively expensive. So the rear toe arms are ready! It was most complicated to adapt to the outer knuckle, because here you need a cone that has to fit exactly. The cylindrical part serves as a guide for the outer joint and is calculatingly made longer so that the height of the steering head can be adjusted using washers. Depending on the lowering and what the suspension analyser calculates. The rest is done quickly, a few bushes and a tube with one right and one left thread (metric of course ) each for the uniball joints. So you can change the length of the arm simply by turning it and adjust the height with the washers. I also save 600g per side! Although everything is made of high-strength steel. Some great work there man! It's great to see people making custom parts for their cars from scratch! @ec17pse offers a great front suspension kit, maybe talk to him and see if you can figure something out. His would go great with your rear ones! Send you an PM ;-), cause im interested in some information about the german laws in combination of self build suspension parts. Do the Evo X front brakes bolt right up or did you have to make brackets? You just need the Galant knuckles with 160mm bore spacing and then drill the 12mm holes to 14mm. New Mealing Racing Youtube Channel.